The College welcomed back all students on Monday and Tuesday nights. Information seminars were delivered to each of the year groups and their parents. 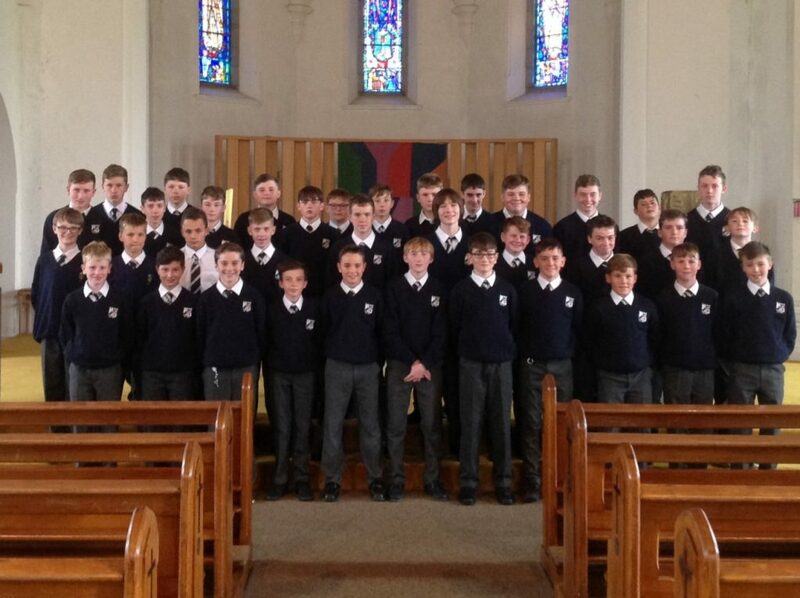 1st Year students pictured after Morning Prayer this morning. 38 First Year students joined the College on Monday night and new students also joined in all of the other years. The introduction of 5 day and day boarding options in September 2017 complimented the already well-established 7 day boarding model. All of the students participate in all aspects of the College curriculum – academic, sport, music and spiritual. The increased number of First year students reflects a positive message about the all-round education offered in CCR. As we begin another new year in the College we wish the Leaving Cert class of 2018 every success in both their future 3rd level courses and in their careers.